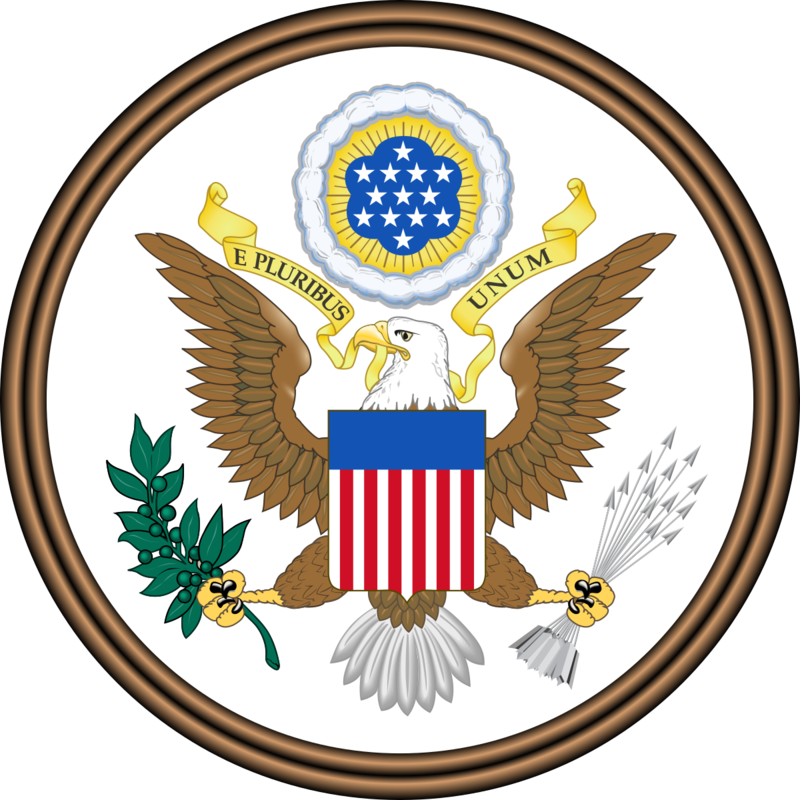 "Great Seal of the United States (obverse)" by U.S. Government - Extracted from PDF version of Our Flag, available here (direct PDF URL here.). Licensed under Public domain via Wikimedia Commons. It annoys me when Tea Party groups that want to dismember the Federal Government and urge insurrection and nullification against the President call themselves patriots and imply that anybody who opposes their radical agenda are squishy communists. But I get equally annoyed when the President and his team call for “economic patriotism.” In their view, it is patriotic for American companies to pay more corporate taxes than their international competitors and avoid any completely legal efforts to pay a lower corporate rate. The Obama administration late Tuesday called on Congress to immediately pass legislation to block U.S.-based multinational companies from moving their headquarters overseas in order to get a lower tax rate. In a letter to Senate Finance Committee Chairman Ron Wyden (D-Ore.), Treasury Secretary Jack Lew called for a “new sense of economic patriotism” in which U.S.-based companies are no longer allowed to do “inversion” transactions only for the purposes of changing their tax domicile. The dictionary definition of patriotism is, “love for or devotion to one's country.” Nobody said anything about loving your country so much that you are willing to lose market share and be forced to lay off employees because you are forced to fork over more dollars to the government. As we all know, America was founded by “patriots” who had an aversion to paying too many taxes. So the idea that a true patriot is somebody or something that wants to pay higher taxes seems a bit odd to me. Corporate inversions are a real problem, caused mostly by the fact that America has the highest corporate tax rate in the world. Punishing companies for reacting logically to this high tax rate seems silly for me. The obvious answer is to lower the tax rate. Many of us, myself very much included, were concerned to see the news the other day that a very large American corporation has announced plans to merge with a somewhat smaller, but still large, UK corporation, and then have the combined entity domiciled in the United Kingdom. Apparently a desire to escape the high U.S. corporate tax was part of the motivation for the merger. This type of transaction where a U.S. corporation escapes the US tax net is sometimes referred to as an inversion. Broadly speaking, there are two different ways to address the problem of inversions. The first way is to make it more difficult for a U.S. corporation to invert. Just today, we’ve read accounts of Members of Congress who propose doing just that. The second way is to make the United States a more desirable location to headquarter one’s business. I believe the latter is the better way. That would mean lowering the corporate tax rate and having a more internationally competitive tax code. Under current law, U.S. corporations are taxed on their worldwide income. But foreign corporations are subject to tax only on income arising from the U.S. In other words, we subject our own corporations to a worldwide tax system, while subjecting foreign corporations to a territorial tax system. It’s strange that the U.S. government treats foreign corporations more favorably than American corporations, but that’s nonetheless what we do. There is a danger, if the relatively unfavorable treatment of American companies is ratcheted up – which seems to be the effect of some of these anti-inversion proposals – that American companies will become even more attractive targets for takeover by foreign corporations. So, as important as it is to get the corporate tax rate down, no matter how low we get the rate we still need to replace our antiquated worldwide tax system. Instead of imposing arbitrary inversion restrictions on companies retroactively and thereby further complicating the goal of comprehensive tax reform, we should first keep our focus on where we can agree. By uniting around the goal to create an internationally competitive tax code, we can keep American job-creators from looking to leave in the first place. Successful tax reform can help reverse the trend and cause more businesses to locate in the U.S., bringing more jobs to Americans. And make no mistake, the trend is alarming. Just look at the number of U.S. based firms, ranked by revenue, in the global Fortune 500 over the past decade and you will see a significant decline in the number. That, of course, means a lower tax base for the U.S.
As I just said, tax reform can be used to reverse that trend, make the U.S. an attractive place to locate businesses and global headquarters, and prove a base for more jobs in America. Seems to me that the best way to be a patriot is to make America the best place to live and to work and thrive in the world and one way to do that is to make American businesses more competitive with our international rivals. That means that the true patriot would push for comprehensive tax reform.